Laminating film, or 'New Stuff', is the best covering film for your EPO and EPP foams and even for wooden structures. Its easy to use, cheap, and tough! If you are a power builder ask about our FULL Rolls !! Please Note: This item has shipping restrictions. Please see the full description for specifics. 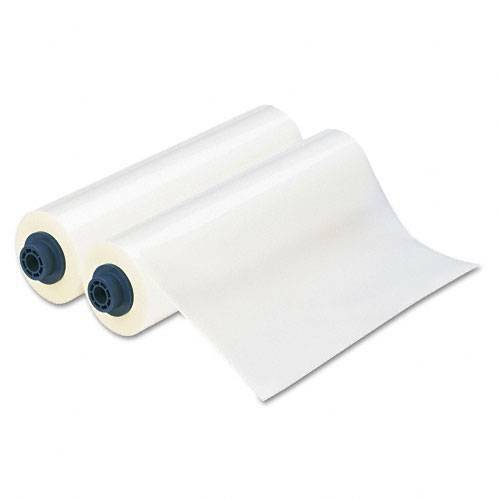 CP Laminating Film - 5 Mil x 18"
CP Laminating Film - 10 Mil x 18"
CP Laminating Film - 1.7 Mil x 18"
DI Laminating film - 5 Mil x 18"
DI Laminating film - 3 Mil x 18"
Please Note: Laminating Film cannot be shipped via USPS First Class Service. Please select a different shipping option, even if our website offers First Class as an option. Enjoy a stronger and tougher plane! - The name 'New Stuff' came from the first people that started experimenting with laminating film on their planes. They simply refereed to it as the New Stuff. Word got around that this 'new stuff' really made a plane perform, and made it much more crash resistant. Often times we will build an EPP plane without any spars and no tape as we know the New Stuff will result in a very strong and very clean structure. (We do recommend bidirectional fiber tape for combat planes.) Thanks to the tough and flat surface of the film, most planes will enjoy a more accurate airfoil that will perform better. We like the 5 mil CP film for most normal projects, and the 10 mil CP or the 7 mil DI for heavy planes where we are not as concerned about weight, or just need a super tough skin. The 3 mil is great for molded foam planes with a lot of compound curves, and the 1.7 mil is excellent for super light builds. New Stuff is flat and opaque on one side, which is the adhesive. To apply, you iron it on, but it is a little different then other iron on films. New Stuff has a very low shrink ratio, so you no longer need to tack the edges and work your way into the center. Just the opposite, take an iron that is about 220F (hot enough to boil a drop of water on the face of the iron) and start from the center and work out towards the edges. No need to pull the film tight, just remove any ripples and iron it down. As heat is applied, the adhesive will activate and the film will turn crystal clear. Since the film hardly shrinks, no more twisted and tweaked airframes! Most people find New stuff much easier to apply than traditional films. DI Films - This film offers excellent rigidity and goes onto a wing very nicely. DI is stiffer than CP and is an excellent choice for wings. The down fall of DI is that it does not take to tight bends or curves as well as CP films. 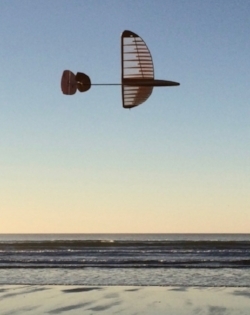 We really like DI for wings and other mostly flat surfaces. A wing covered with DI will be stronger and straighter than a wing covered in CP Film. DI films also feature UV protection. CP Films - CP films are the traditional 'New Stuff' and work well for many applications. It works much better than DI films on compound curves like fuselages and wing tips. If you can only have one film, then you probably want the CP film. CP films are more flexible and may be a better choice when extreme crash protection is desired. An ideal build for a wing would be CP film around the trailing edge and wing tips, and the rest of the wing covered in DI. 1.7 mil CP film weighs .13oz or 3.9 grams per square foot. 3 mil CP film weighs .23 oz or 6.6 grams per square foot. 5 mil CP film weighs .38 oz or 10.8 grams per square foot. 10 mil CP film weighs .81 oz or 23.1 grams per square foot. 3 mil DI film weighs .26 oz or 7.4 grams per square foot. 5 mil DI film weighs .46 oz or 13.1 grams per square foot. 7 mil DI film weighs .68 oz or 19.4 grams per square foot. I have found the 1.7mil laminating film to be excellent covering for balsa built wings. The way I have covered is to have the iron at low - ~200F - to tack it all the way around the part being covered, at this heat the film will not shrink much so it is easy to get tacked all around, then turn the iron up to 350-400 and really seal around the piece. With that done I use a heat gun at 450 - 500, low on my gun, and find the plastic 'changes' with this much heat, shrinks well, get very clear and seems to get tougher. The really nice thing with this cover is it is very hard to melt it with the heat gun at this temp range, not true for the model coverings sold for that purpose. I have a Quick Flick 2 with over 20hrs flying time on with the original cover and no dings. I have also re-covered my Riser 100 and it saved a noticeable amount of weight. You can also add color to the glue side with spray paint lightly applied if you don't mind adding weight. This does not seen to bother the bonding of the film to the model. - Photo by Topher, he comments: I thought I'd pass on that I have covered several balsa planes with the 1.7mil film with great success. The latest was a 2m RES sailplane. It works and looks great. The picture is of a 34" DLG I built. 99 grams and floaty. Sold by the linear foot. (30 cm) If you order a quantity of 10, you will receive a roll that is 10 feet long x 18" wide.